Home organizer Marie Kondo stars in Netflix&apos;s new reality series, "Tidying Up with Marie Kondo." If your social media streams have been suddenly clogged by friends and family sharing pictures of laundry folded into intricate squares, you’re not alone — there’s a tide of people who have latched on to a de-cluttering trend in the new year to help get their lives in order. On Jan. 1, Netflix smartly timed the release of a new series called “Tidying Up,” which teaches viewers how to rid their homes of unnecessary garments; books (this one has caused some contention); and other items, while hanging onto the things that “spark joy” in a person’s life. The show, hosted by author and “tidy guru” Marie Kondo, leans on her trademarked “KonMari Method,” a way to bring happiness and joy through cleanliness or simplicity, in so many words. So, what exactly does adopting “KonMari” entail? Here’s a brief explainer about the craze. OK, what’s with the whole T-shirt-folding thing? Part of Kondo’s method for tidying up includes paring back the amount of clothing people have hanging in their closets or piling up in their dressers. In the series, Kondo walks people through how to expertly fold articles of clothing before placing them back into drawers like file folders ready to be flipped through. Marie Kondo showed Otti Logan how to fold in Cambridge in 2015. At the same time, this part of the process helps people bid farewell to clothing they don’t wear — but it’s not as simple as just tossing it away. With KonMari, you “thank” the clothes that you’re getting rid of for all the wonderful times you shared together. This concept applies to other items taking over your house as well. 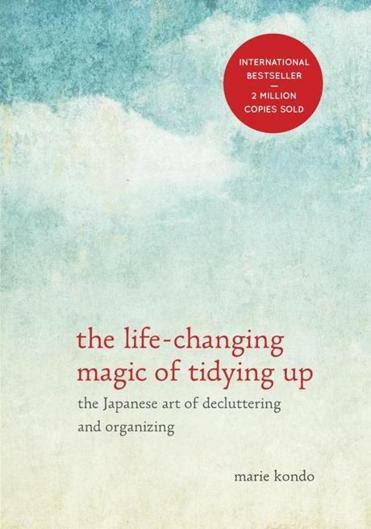 According to her website, KonMari is about tidying up by category, rather than by area in a given space, like a bedroom and then a living room. Is this a new movement? The book has sold millions of copies around the world and is one of several she has written about the topic. Before she was on the streaming service, Kondo was showing off her organizational skills on television, making appearances on “The Ellen DeGeneres Show” and the “Rachael Ray” show. So who is Marie Kondo, and why should I let her tell me what to do with my stuff? Kondo has been tidying up spaces and working as an organizational consultant since she was a 19-year-old student in Tokyo, according to her website. Now 34, she has a worldwide following, several books, and is in high demand when it comes to showing up at people’s homes to help guide the process of getting things in order. 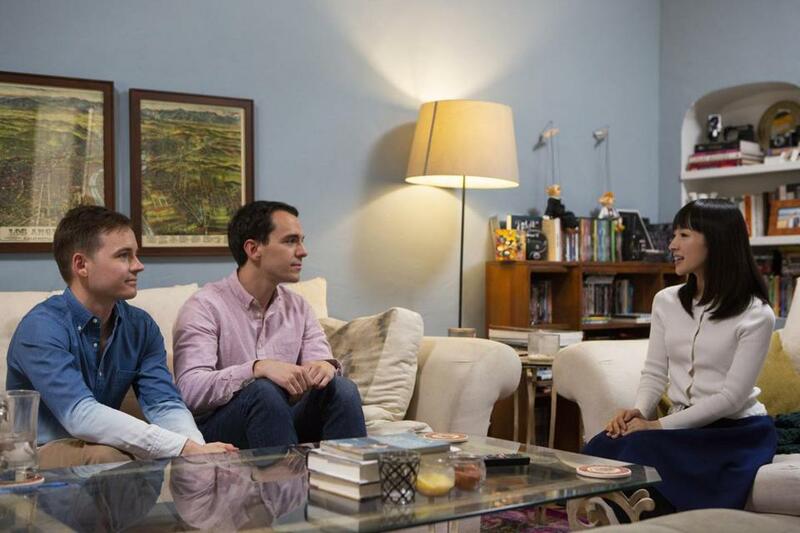 Marie Kondo with Frank and Matt, who sought her help for tidying up their Los Angeles apartment. Her methods garnered so much praise, that in 2015, TIME magazine put her on its list of the 100 most influential people. As New York magazine reported that same year, some people find her methods so effective that they’ve deemed themselves “Konverts” and use the term “Kondoed” as verb to describe cleaning up. Can you boil it down a bit? What are Kondo’s top tidying tips? In 2015, Kondo made her way to Massachusetts and helped some residents here do just that. Her arrival was part of a tour where she looked at the differences between homes in the United States and those in her native Japan. While here, she offered the Globe, through a translator, some key points for applying the KonMari method to everyday life. First, she said, before you start cleaning, imagine what kind of lifestyle you want to have. “By solidifying the idea of how you want to live, the cleaning becomes a lot easier,” Kondo said. Next, show a bit of gratitude for those things you’re throwing away. Doing this gives a person closure, she said, and makes it easier to part ways with an item. Lastly, Kondo recommended that the objects a person decides to keep — the ones meant to spark joy — should be treasured. For a glimpse at what’s in store on Kondo’s Netflix show, you can watch the trailer below. Steve Annear can be reached at steve.annear@globe.com. Follow him on Twitter @steveannear. Globe correspondent Brooke Jackson-Glidden contributed to this report.